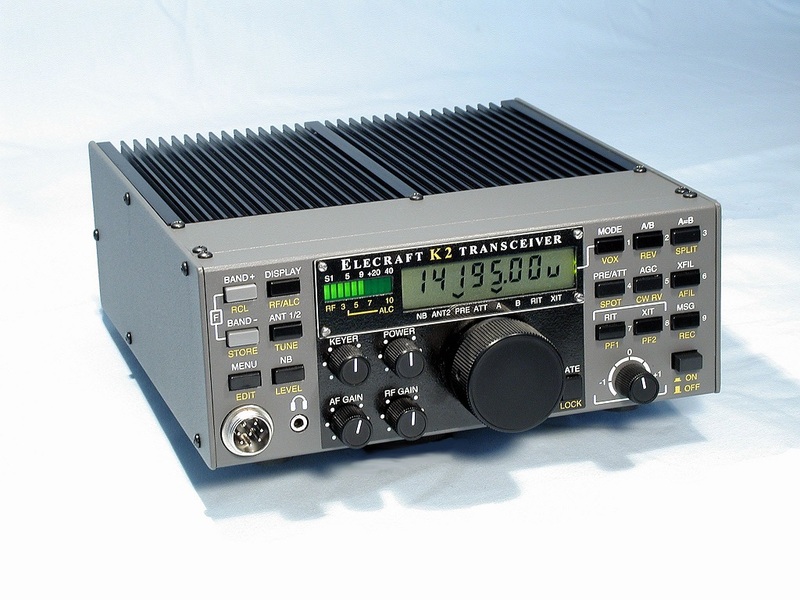 The Elecraft K2 is a full-featured HF transceiver with the options you have come to expect from radios costing over twice as much. Two VFOs with multiple memories, split TX/RX operation, RIT/XIT, full break-in CW, memory keyer, narrow IF crystal filtering, excellent RX dynamic range and IF derived AGC are standard on the K2. Performance: We’ve designed big rig features and performance into the K2. Eric and Wayne are experienced CW operators, so solid CW performance (in addition to SSB) is a priority with the K2. Excellent sensitivity and dynamic range, Full QSK Break-in (diode switched), adjustable RX/TX CW pitch, High Speed Memory Keyer, Selectable RX Sideband, and Sharp IF Crystal Filtering are standard. 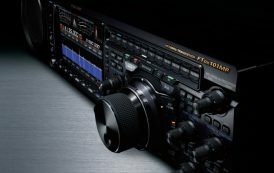 Check out our K2 Performance Number Comparisons with other radios for more details. The K2 is designed for use both at home and in the field. The K2’s low receive current (approx. 150 mA in battery save mode) makes portable operation possible from small gel cell batteries. The K2 even includes an option for an internal 2.9-Ah rechargeable battery. Build the K2 for QRP or 100W Operation The K2 offers efficient QRP CW operation with up to 15 watts output. Build it as a K2/100 by including the internal KPA100 option to get a full featured 100W radio. The KPA100 kit of internal parts, including its micro-controller and heatsink fit totally inside the K2. 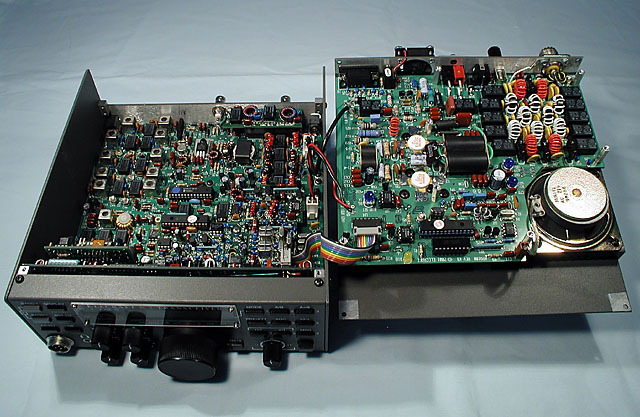 The KPA100 includes an internal speaker and a RS-232 Aux I/O computer control rig interface (equivalent to the KIO2), SWR / Power metering and microprocessor controlled silent PIN diode switched T/R. Easy Alignment: No sophisticated test equipment beyond a digital multi-meter is required to align the K2. Our built-in microprocessor and A/D circuitry monitor all important signals and provide user feedback during calibration. They even include a built in general purpose frequency counter, volt meter and radio current drain meter. Our thousands of K2 owners will attest to their success building the K2! Customizable: We’ve designed the K2 for easy user modification. All interfaces and signals are fully described in the manual. K2 STANDARD FEATURES Specifications and Pricing subject to change without notice. Dual VFOs with split operation. Direct keypad entry of frequencies and memory channels. Memories store mode, VFO A/B, split, RX filter, etc. Adjustable RX CW offset with tracking TX side tone. K2 and AccessoriesClick on underlined part numbers for details.